The child of Dutch parents, Marthe Armitage was born in England in 1930. While still in her teens, she studied fine art at Chelsea School of Art, today part of the University of the Arts, London. Chelsea has a long tradition of producing leading artists. 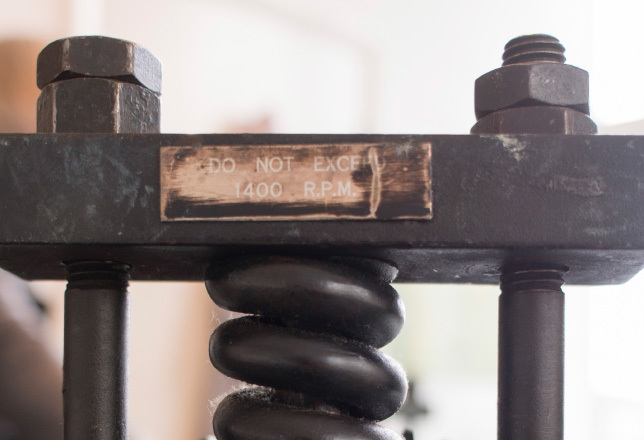 Alumni include sculptor Elisabeth Frink, illustrator Quentin Blake, wood sculptor David Nash, artists Patrick Caulfield and Anish Kapoor, along with modern movie-maker and Turner Prize winner, Steve McQueen. After graduating from Chelsea, marriage and motherhood left Marthe little time for commitment to a creative career. This came later in life, with her children having grown up, allowing her to focus on her other love: art. As a young mother, Marthe lived for two years in India, where her architect husband was designing a hospital. Watching village craftsmen at a local bazaar print patterns onto fabric, using simple wood blocks, was an experience which was to lead her to the idea of designing and printing wallpapers, using the technique of linocut. 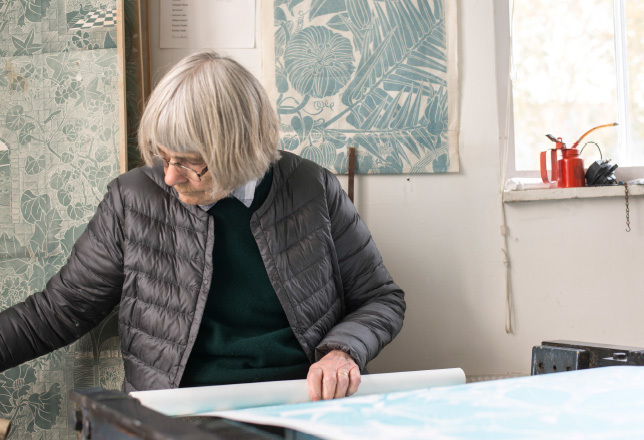 Initially printing wallpaper manually for her family home, Marthe’s creative output was transformed by the acquisition of a 100-year old hand-operated offset lithographic press. Innovatively adapted to her own specification, this enabled her to go on to design and print for others. Today, the name of Marthe Armitage is world-famous in the field of wallpaper design. She is a member and past Master of the Art Workers’ Guild, of which the iconic William Morris was himself Master in 1892. Marthe has been invited to give a lecture on her wallpaper designs at the Victoria & Albert Museum, and to curate an exhibition of her work at Hogarth’s House, in Chiswick. Her Alphabet wallpaper was used to decorate the haunted nursery in the 2012 film ‘The Woman in Black’ which starred Daniel Radcliffe. In 2013 she was featured in a BBC 4 documentary on The Story of Wallpaper, as part of a series entitled The Fabric of Britain. An exclusive packaging design, ‘Summer Afternoon,’ was created in 2015 for a limited edition range by British fragrance house Jo Malone London. Most recently, Marthe’s work has featured in an exhibition at the MAK in Vienna entitled handWERK, Traditional Skills in the Digital Age. 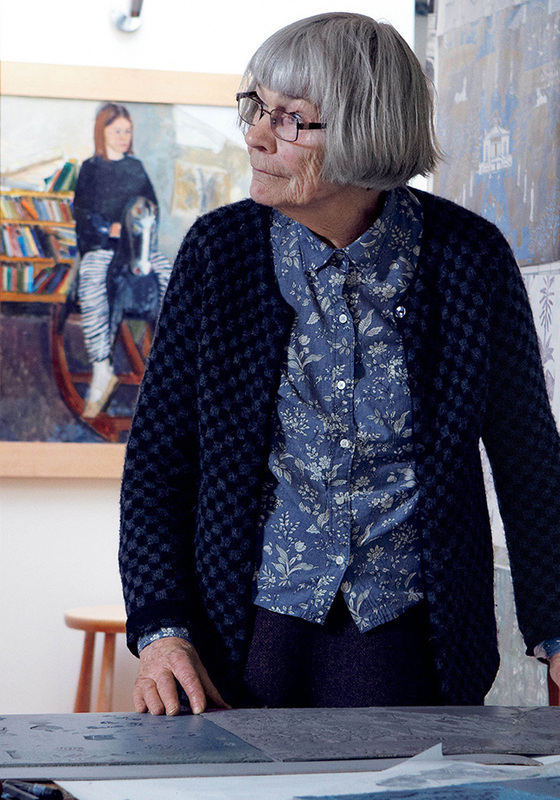 Now in her 80s, Marthe continues to be as creative and innovative as ever.